Looking for the perfect Mother’s Day present? This year, instead of buying perfume or bringing flowers, why not celebrate your mom with a gift from the heart? Here are a few ideas for gifts any mother would love. It’s Mother’s Day Gift Guide time on all the blogs! And I love reading them because they’re filled with all kinds of cute stuff. (This one is from 2018 but I love all the suggestions!) When I’m looking at these guides, though, I know if I like something, I should just go ahead and buy it for myself. My kids aren’t browsing the Internet a month before the holiday trying to figure out the perfect gift for me. They’ll think about it the day before or the day of and give me a nice call that I’ll enjoy very much. But you know what? That’s ok. These guides show items that I can easily buy for myself. 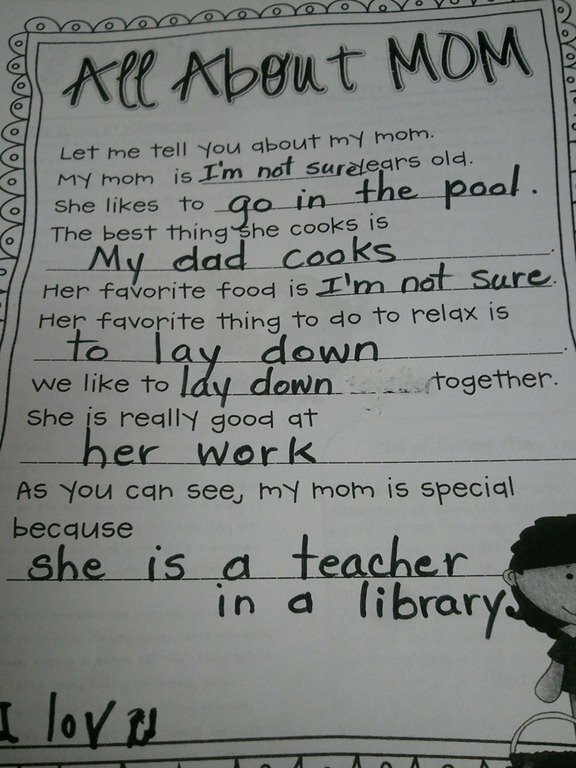 And that’s not what I want from my kids. As my kids get older, the best gift they can give me is to share their life with me and show me who they’re becoming as they grow up. 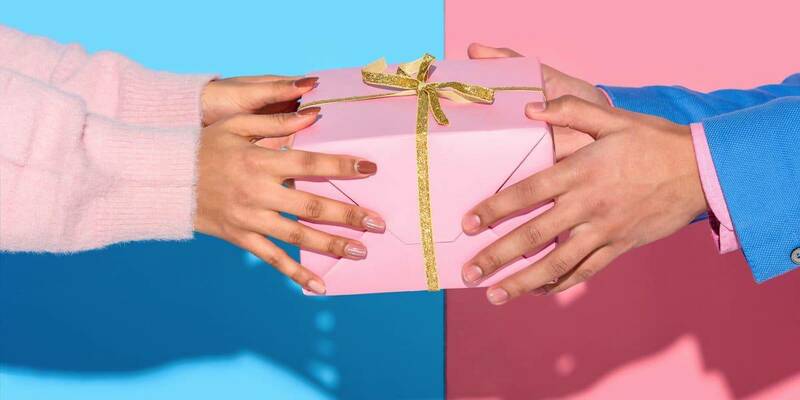 As it turns out, there are plenty of non-traditional and pretty inexpensive Mother’s Day gifts that show you care enough to give a bit of yourself. Here are just a few gifts that I’d love to receive this Mother’s Day. If you’re looking for a gift for your mom, I know she’d probably love these gifts as well. A home-cooked meal. My kids have gotten more into cooking over the last few years and their tastes are more adventurous than mine are. I’d love to be a guest at a meal they prepared. A book and/or album they loved so much it changed their life. What a great chance to get a peak into some of the factors that made them who they are now. Similarly, I’d like the gift of having them sit down with me and watch a movie that I think they should see. That makes it sound like I’m going to pull out Schindler’s List and then have a discussion afterward. I was actually thinking more along the lines of Fast Times at Ridgemont High, which I believe every human should see. Or perhaps we could go a little deeper with To Kill a Mockingbird, which every human really should see, particularly, sadly, now. A family game night. This is actually just pure selfishness. I love to play board games and nobody ever wants to play with me. There is no deep meaning here. Won’t someone play Monopoly and Password with me? 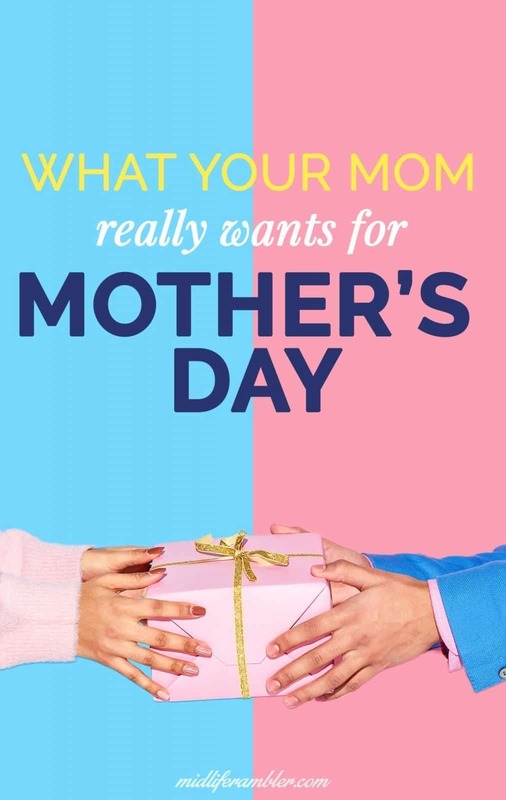 What would you like to get for Mother’s Day? What were some of the most meaningful gifts you received? I’d love to know. Pin on Pinterest so Everyone Knows What You Want! Previous Post Are You Having a Midlife Crisis? What a great list! I agree – the gift of self, of time, is the greatest gift as we get older. We try to give our kids experiences for gift-giving occasions now. Love making memories!